Markets around the world continue to tank. HONG KONG – Most Asian stock markets dropped Wednesday after U.S. benchmarks plummeted toward 5 1/2-year lows and investors began losing hope that governments can rescue the world's economies from slipping deeper into recession. European markets opened down. It marked Asia's third day of declines, and followed a sell-off overnight on Wall Street that dragged the major indexes to within a hair's breadth of the multiyear lows they touched in November 2008 after the U.S. credit crunch sent its first shockwaves through global finance. However, several markets rebounded late in the session as U.S. futures pointed to a modest recovery on Wall Street. As President Barack Obama signed America's $787 billion measure to revive the world's largest economy, investors were still faced with a rash of downbeat news about everything from struggling U.S. carmakers to beleaguered banks and slumping business activity. Among the biggest concerns were the ongoing woes of General Motors Corp. and Chrysler LLC. The companies, which have already gotten billions in government aid, asked for another $22 billion dollars overnight and forecast massive layoffs as the industry staggers. If granted, their requests would bring the total bailout to $39 billion. Amid the growing evidence of decay, investors are still unconvinced that plans rolled out so far will arrest the steepest slide in the global economy in decades, and want more specifics and bolder measures from policy makers, analysts said. "It is becoming increasingly clear that the system is broken," said Kirby Daley, senior strategist at Newedge Group in Hong Kong. "And there does not seem to be a comprehensive long-term solution being formulated by any country, let alone a coordinated solution to the world's economic problems." As trade started in Europe, Britain's FTSE 100 was down 1.4 percent, Germany's DAX lost 1 percent and France's CAC 40 shed 0.7 percent. In Asia, Japan's Nikkei 225 stock average fell 111.25 points, 1.5 percent, to 7,534.26, its lowest close in nearly four months. Hong Kong's Hang Seng, down almost 2 percent earlier in the day, recovered to gain 70.60 points, or 0.6 percent, to 13,016.00. South Korea's Kospi was off 1.2 percent at 1,113.19. Markets in Australia, India, New Zealand and the Philippines also fell, though those in Singapore and Taiwan traded up modestly. The region's biggest decliner was mainland China, where stocks had risen sharply in recent weeks. The Shanghai Composite index plunged 4.7 percent to 2,209.86 amid reports that regulators were investigating the recent surge in bank lending and whether it raised financial risks. Analysts said there was speculation some of the lending was being used to place bets on the stock market. Most losses in Asia and Europe were muted, though, compared with Wall Street, where pessimism about the government's stimulus and bank bailout programs sent stocks swooning. President Obama is set to lay out a new $50 billion program Wednesday to prevent home foreclosures, though investors still crave more details about the administration's latest financial bailout plan. The Dow Jones industrial average closed down 297.81 points, or 3.8 percent, at 7,552.60 — just 31-hundredths of a point above its post-meltdown Nov. 20 close of 7,552.29, which was its lowest close since March 12, 2003. The Standard & Poor's 500 index fell 37.67, or 4.6 percent, to 789.17. 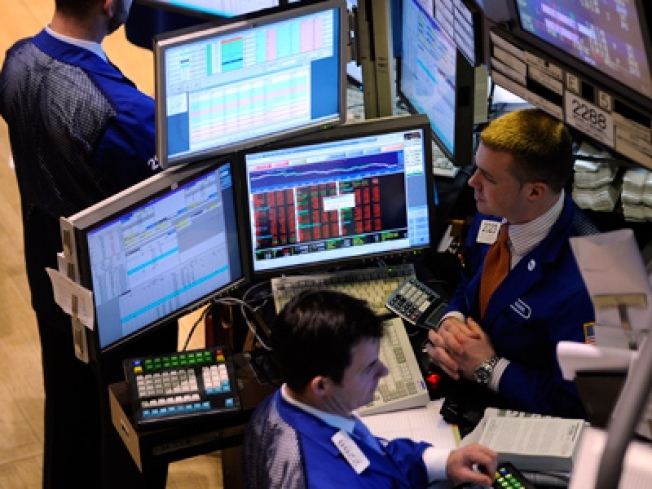 U.S. futures rose, suggesting Wall Street would take back some of its losses Wednesday. Dow futures were up 12 points, or 0.2 percent, at 7,519 and S&P500 futures gained 2.9, or 0.4 percent, to 788.50. Oil prices weakened further in Asian trade, with Light, sweet crude for March delivery down 43 cents at $34.50 a barrel on the New York Mercantile Exchange. The contract tumbled $2.58 to settle at $34.93 overnight amid gloomy economic data. In currencies, the dollar rose to 92.55 yen, up from 92.37 yen. The euro trader higher at $1.2616 from 1.2585.